My name is Beau and I’m a 23 year old firefighter. I’ve always been active and athletic and grew up playing and training for hockey. But when I finished hockey my training and fitness level went downhill and I didn’t have much knowledge of training other than exercises I did with my hockey teams but there was no repetition and I didn’t feel like I was getting much out of it. When I got hired on to the fire department, I realized I now had time and money to start taking fitness more seriously. I felt I could do my job okay, but I wanted to be better than okay so I decided to join a gym and work with a trainer to develop knowledge of programs and get started on the right foot. I started in January with lots of questions about so many different things including proper techniques, training schedules and nutrition. Klaud answered all my questions I had and if he didn’t know the answer for me right away, the next time I saw him it would be one of the first things he’d tell me. Coming in I had never done a deadlift in my life and was scared to as I have a previous back injury. Klaud showed me the proper technique to keep me safe and within 4 months or so I was lifting over 375 lbs, something I never thought I could ever do. I started out with having difficulties just squatting my body weight (185 lbs) now I’m doing that with no problems and upped my strength weight to 255 lbs. I feel a lot healthier, a lot more fit and look a lot leaner. Both my friends and family have noticed and commented on it which feels great and I really notice a difference myself when my pants that used to fit well, have quite a bit extra room in them now. It has taken dedication and commitment to a healthier lifestyle and Klaud has made it a lot easier for me to start and maintain both through knowledge and encouragement. I also feel like I have the tools to continue on this same path on my own when our training has finished from all I have learned thanks to Klaud. Klaud is the real deal - he is thoughtful, knowledgeable, hilarious and tough in all of the right measures. Klaud is a master in his field which is evident in the way he coaches - he is extremely attentive and worked with me each session to bring awesome results with my fitness and health. In the past 2 years I have lost a total of 150 pounds and I will continue my journey of health and happiness with the help, friendship and encouragement of Coach Klaud. Amazing coach and very knowledgeable in nutrition! My daughter has been seeing him for more than 2 years and I'm so grateful for all that he's done for her. 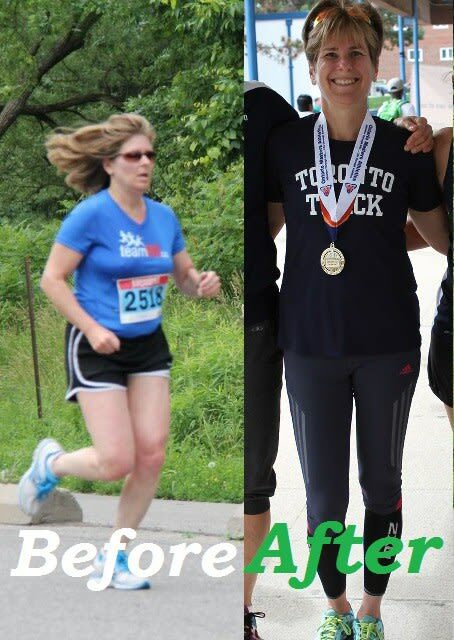 I watched my daughter transform from an overweight, tired, full of pain woman into a young, beautiful, slim, full of energy and positive woman within one year of his training! He has completely transformed her and I'm so grateful for it! Not only did he help her but he has also helped me! He taught her how to properly eat healthy and in return my daughter taught me. I've followed in her footsteps and I've been eating healthy for more than a year now! 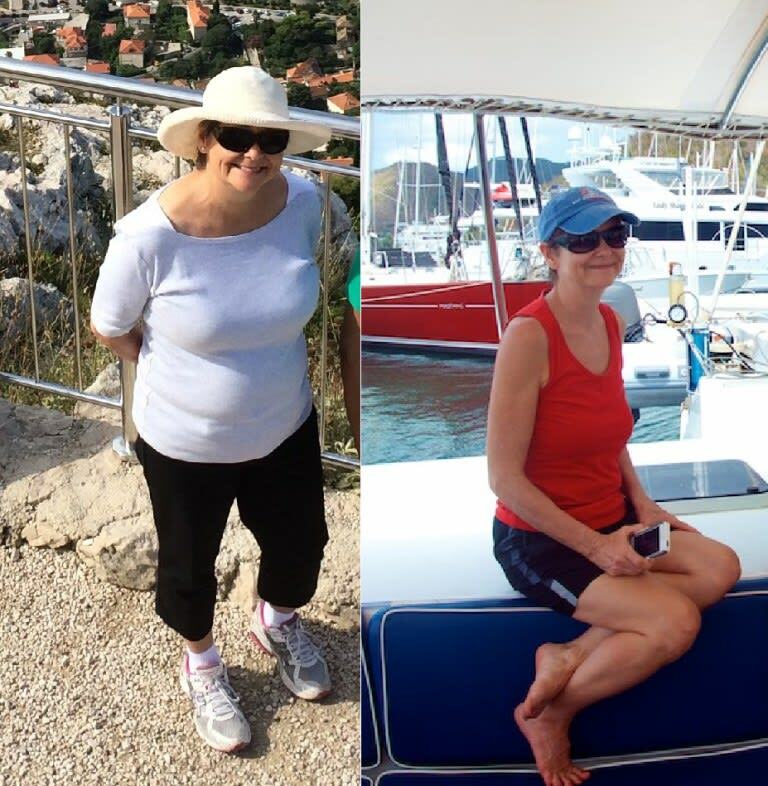 I am 61 years of age and I have lost more than 50 lbs and I've gone from taking 6 pills for my Type 2 diabetes to 2 pills. My diabetes has been completely controlled and my doctors are completely amazed at my normal blood results. Whenever I went off the path, my daughter would tell Coach Klaud and he would give me support and opinions on what I should do or not. Thank you Coach Klaud for changing the way our family eats and thinks about food and nutrition! I'm in my fifties and needed to get into a fitness program that I felt safe with. Having had heart surgery the year prior, a knowledgable trainer was necessary for me. Coach Klaud was the perfect choice. He took the time to assess my situation/goals and created a safe and results-oriented fitness plan for me that he adjusts constantly depending on my progress and priorities. I would recommend him anytime. I've worked with Coach Klaud for the past two years and during that time he's helped me completely change my lifestyle. 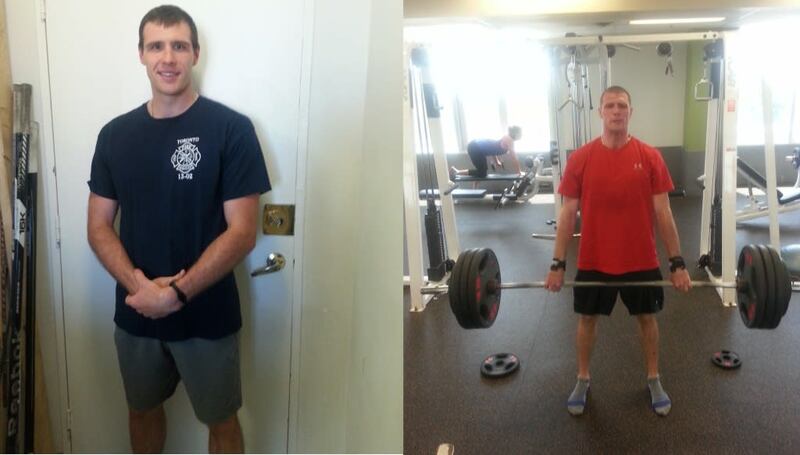 His coaching helped me become pain free from an MVA I had, as well as lose 100 lbs and gain strength. He changed my mindset and taught me how to eat healthy food. I am now in the best shape of my life and I feel amazing! I couldn't have achieved so much without his constant support and encouragement. Every step he took, every exercise he gave me was on track with my goals and proved to be useful in improving my form and strength. His ability to adjust his workouts on the spot based on how I was feeling was quite impressing. Every exercise he did with me was explained in great detail and this helped me raise my awareness of my body. He was always honest with me and I trust his judgement 100%. One of the things I liked most about him is that he's always challenged me and continues to do so. He truly cares for his clients and his passion to help them shows in the amount of time and detail he puts in his training. I love my new lifestyle! I feel amazing! I'm full of energy, have strength and best of all I'm healthy and fit! And did I mention that I feel 10 years younger? I've never been in better shape. I am so grateful to have met Coach Klaud and for his continuous support and training. I couldn't have accomplished so much without his help. For those that are reading this...stop thinking about it and just do it! Contact him for I'm positive that he can help you change your lifestyle too! I’ve worked with Klaud for over a year and he made me discover that working out can be fun. The workout routine that he devised for me was varied and interesting while his wry sense of humor kept me distracted from the pain in the wee hours of the morning to which he agreed in order to accommodate my schedule. Klaud has a great respect for the human body and one of his joys, as he once told me, is to make people feel good in their skin. This he achieves, by liberally sharing his vast expertise and advice. More than once I have seen him walking up to a complete stranger in the gym, pointing out a better technique of lifting a weight or a better posture to do a squat or a push up. More than a coach, Klaud is a friend. It is like working out with your best buddy. I have been working with Klaud for a few months, I am getting great results with weight training - I'm toning up where I wanted to, my posture and overall fitness level has improved. 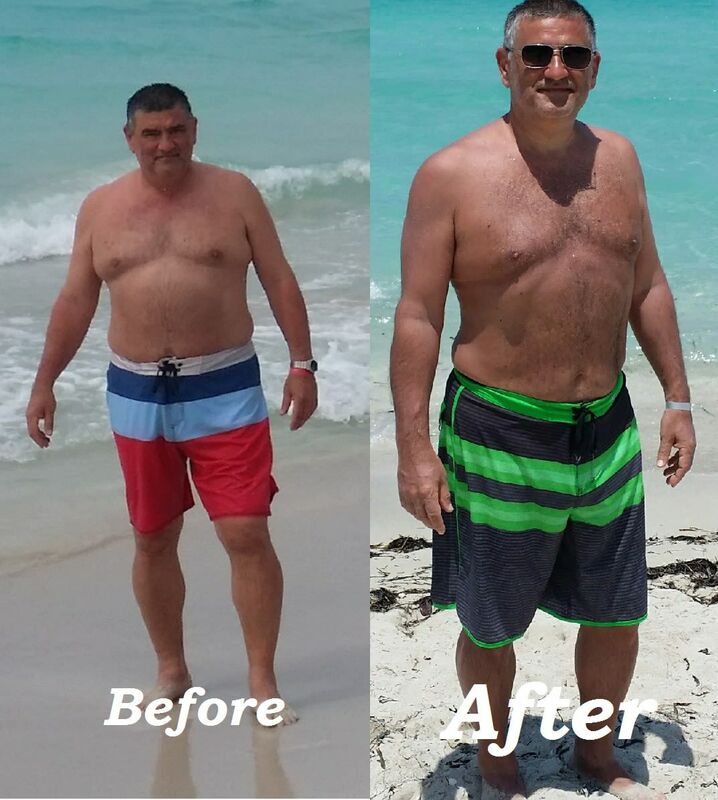 Klaud is extremely knowledgeable on muscles and anatomy as well as nutrition and has worked with me to develop a customized plan that is getting me the results I was looking for. I was recovering from an arm injury which he has been able to assess and help me properly recover from. Klaud is very client focussed and passionate about health and fitness. I highly recommend him as a coach. Training with Coach Klaud has truly been a rewarding experience. His wealth of knowledge and genuine passion for his profession shines through in the dedication he offers to each of his clients. He individualizes each workout session to match the client's goals based on extensive assessments. His personable approach means he is also there to provide continued support on days you don't quite feel up to the challenge. 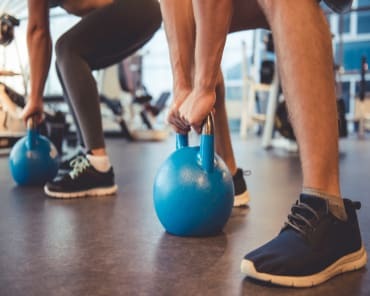 The holistic combination of fitness training and lifestyle coaching he provides has proven invaluable to my journey towards health and well-being. He has certainly pushed me to my own perceived limits, and then helped me realize that I can achieve so much more. A huge thank you to Coach Klaud! Coach Klaud is a very knowledgeable trainer. His experience with weight loss and strength training is top notch. I recommend anyone in the Toronto area to work with Klaud if they are looking to get fit and become healthier! Coach Klaud gets my highest recommendation! Klaud is extremely knowledgeable in the fitness field, with a number of years and accreditations under his belt. The programs that Klaud puts together are fine-tuned to suit every individual client, including detailed and pertinent information on everything from diet to sleep to exercise; he even goes so far as to adapt your program to suit temporary needs and/or situations (e.g. : should you find yourself travelling and away from the gym or from home). He builds and maintains a strong relationship with his clients from day one, going out of the way to contact you between sessions with anything from a friendly message to some extra motivation. He is more than simply a 'trainer', and demonstrates that he truly cares about his clients on a 'friendly' level. I have been Training with Klaud for about 6 months,I have seen dramatic difference in my Physique and overall Confidence.He works at your Pace and listen's to your requirements and works accordingly.Very Knowledgeable.I would highly recommend Coach Klaud. Fantastic! Very knowledgeable. Klaud is helping me turn my health and my body around! Thank you Klaud!! Training with Klaud is a great experience. He truly cares about his clients pushing you each step of the way. It is extremely helpful that he stays in touch between sessions to keep you motivated and on track, providing info on diet and exercises for your day off or while travelling. I highly recommend coach Klaud!